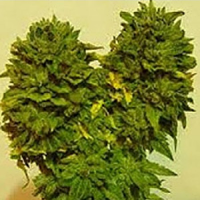 Night Nurse from Sensible Seeds is a popular stain amongst medical marijuana users as its soothing properties are beneficial for a variety of conditions. 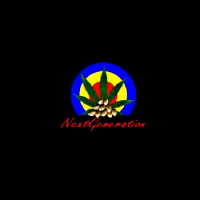 Night Nurse Feminized Cannabis Seeds by Sensible Seeds Premium Selection: Night Nurse from Sensible Seeds is a popular stain amongst medical marijuana users as its soothing properties are beneficial for a variety of conditions. She is a Sativa dominant strain and produces fat resinous buds which sparkle with THC trichomes - lovely! 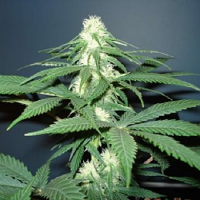 Extremely quick flowering - in just 7 weeks sometimes - or If you prefer a heavier stoned effect leave for an extra week or two, best suited for indoor grows and great in a SOG set up, though it can be grown to great success outdoors in a mild climate. The plants are generally short and discreet in height so good for the guerrilla grower. With its bumper yields and top levels of THC it is also perfect for the commercial grower - no wonder it is one of our best sellers! The Night Nurse will tuck you nicely into bed at night and her medical skills have been known to help with chronic pain, nausea, depression, insomnia, headaches, PMS, and arthritis... maybe more. She has a fruity pine smell almost like sandal wood and her smell is sweet and earthy when smoked.